So, it’s finally been announced, the reveal is here and we now know the name of the latest Need for Speed title that will be hitting stores latest this year. Come November 10th, 2017, Need for Speed Payback will be the latest title in the hit racing series, and this year’s entry looks to up the ante once more – at least if the explosive trailer is anything to go by. 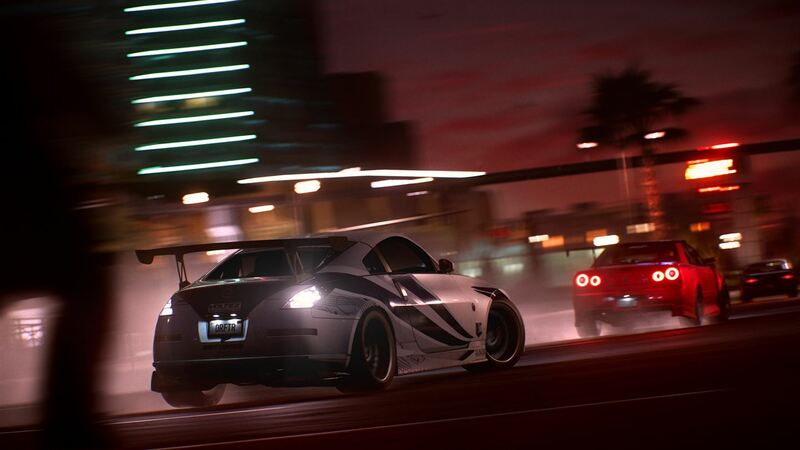 Need for Speed Payback looks to bring you to the streets of Fortune Valley, as you and your crew are reunited by a search for vengeance against The House, a nefarious cartel that rules the city’s casinos, criminals and cops. Once more your car will be at the centre of everything you do. Craft unique rides with much deeper and richer visual customisation than we’ve seen before. With intense missions and explosive car battles, as well as awe-inspiring set piece moments that will truly bring the action-fantasy driving to life. Need for Speed Payback looks to deliver edge-of-your-seat adrenaline fuelled thrills to the everyone’s favourite street racer once more. Those looking to get a peek at what’s to come can check out the reveal trailer below. Need for Speed Payback is set to launch on Xbox One, PlayStation 4 and PC on November 10th 2017 and will be available for the price of £59.99 (£53.99 with EA Access) for the Standard Edition or £79.99 (£71.99 with EA Access) for the Deluxe Edition, which will include the Platinum Car Pack and the High Roller Pack. If you want to get in early, the Xbox Games Store will sort that out for you. Will you be looking to head into this year’s racing reunion? Let us know in the comments below or via our usual social channels. Need for Speed™, one of the world’s bestselling video game franchises, returns with a vengeance in the new action-driving blockbuster, Need for Speed Payback. Set in the underworld of Fortune Valley, you and your crew were divided by betrayal and reunited by revenge to take down The House, a nefarious cartel that rules the city’s casinos, criminals and cops. In this corrupt gambler’s paradise, the stakes are high and The House always wins. Play a varied and challenging world of events as Tyler; the Racer, Mac; the Showman and Jess; the Wheelman. Each driver must take on races, missions and challenges to earn the respect of the Valley’s underground and compete in the ultimate race to finally take down The House. Your car is at the centre of everything you do. Craft unique rides with deeper performance and visual customization than ever before. Push them to the limit when you narrowly escape the heat in epic cop battles. Go head-to-head with other racers on or off-road through canyons, deserts, mountains, and the city. Raise the stakes by putting down additional in-game currency on all events, challenges and missions that can multiply your winnings. But you could lose it all. Finally, for ultimate bragging rights, connect and compete via Autolog recommendations with your friends and, for the first time, with potential rivals. Your leaderboard will populate with other players of similar skill level so you can see how you rank around the world. From insane heist missions to devastating car battles to jaw dropping set piece moments, Need for Speed™ Payback delivers an edge of your seat, adrenaline-fueled action-driving fantasy. KEY FEATURES • Scrap to Stock to Supercar: Your car is at the centre of everything you do in Need for Speed Payback. Endlessly fine-tune your performance through each of the five distinct car classes: Race, Drift, Off-Road, Drag, and Runner, to turn the tables on the competition in any race, mission, or challenge. Find abandoned derelict cars scattered throughout the world to build your perfect car from the ground up. Collect, win, or buy the hottest after-market parts and craft multiple cars into the perfect driving machines. • Live out an action-driving fantasy: Play through an explosive, action-packed adventure as three distinct playable characters united by one common goal: revenge. Tyler, Mac and Jess team up to even the score against all odds, and enter the ultimate race to take down The House. Battle cops with ever-increasing intensity, race against rivals across the city, and drive on and off-road through mountains, canyons, and desert. •High stakes competition: Get on a roll and win big with all-new Risk vs Reward gameplay. The return of intense cop chases means the stakes have never been higher. Put your reputation on the line and challenge your friends or potential rivals via Autolog recommendations throughout the campaign events or go head-to-head in classic online leaderboards.